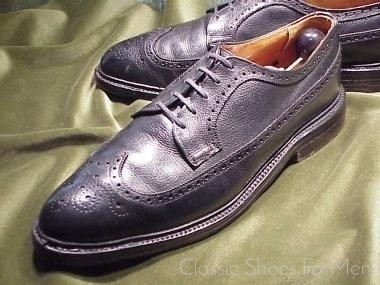 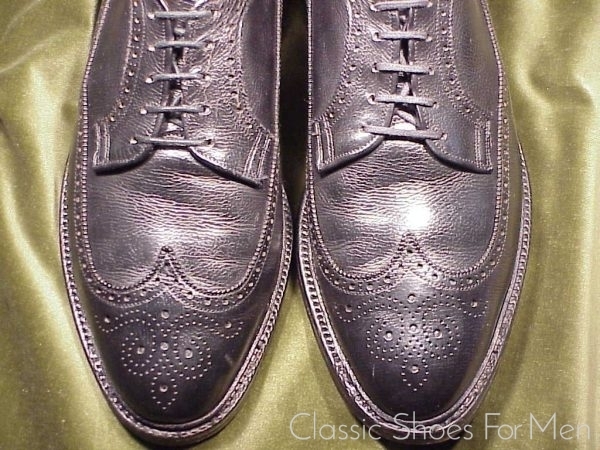 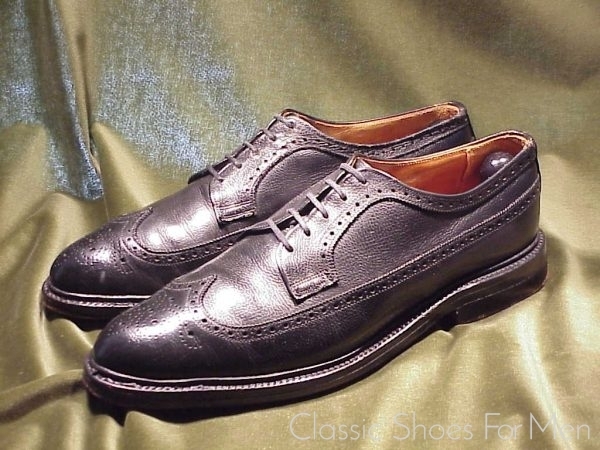 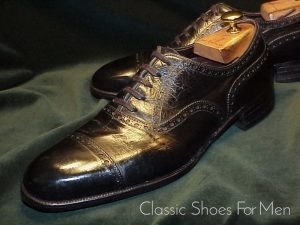 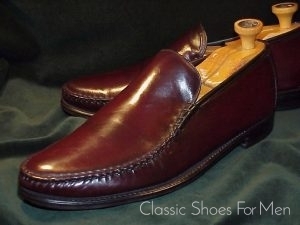 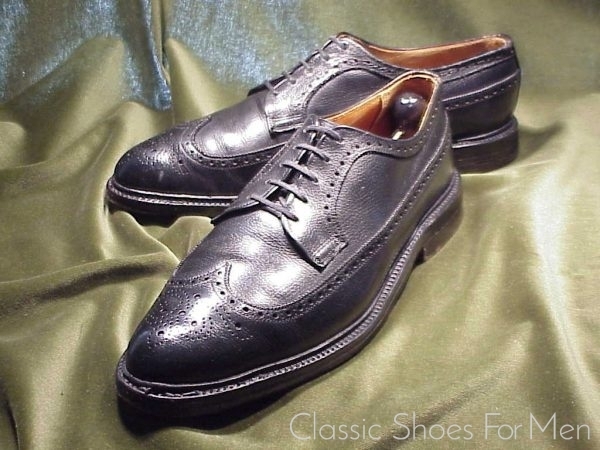 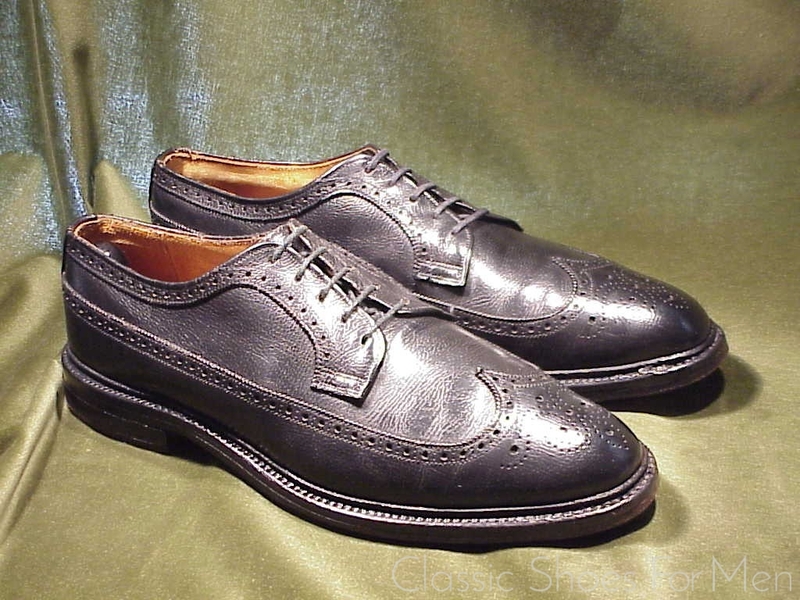 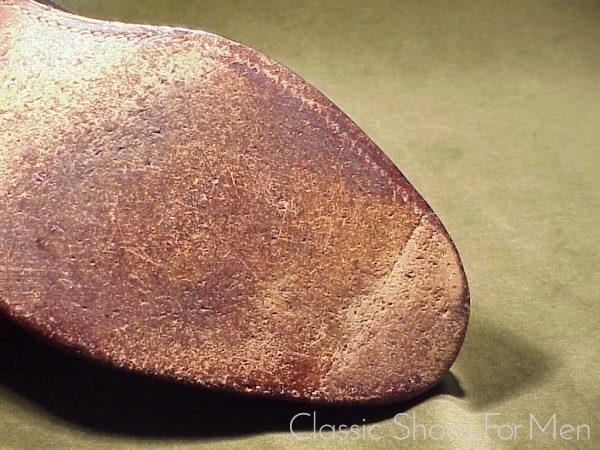 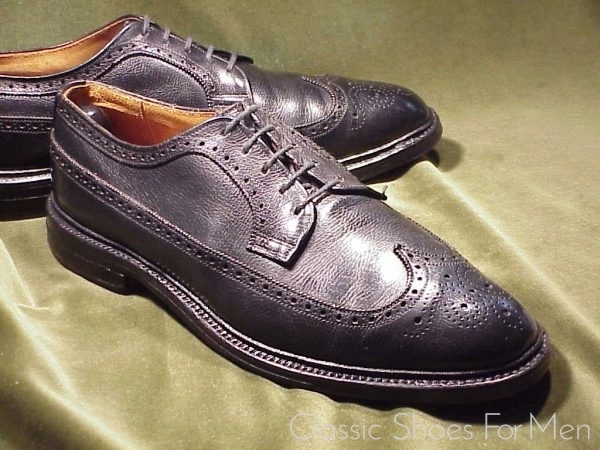 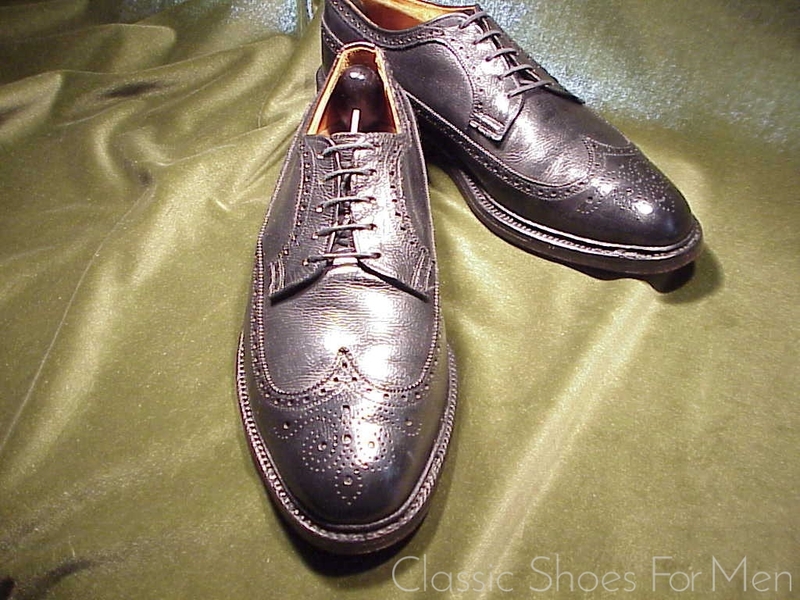 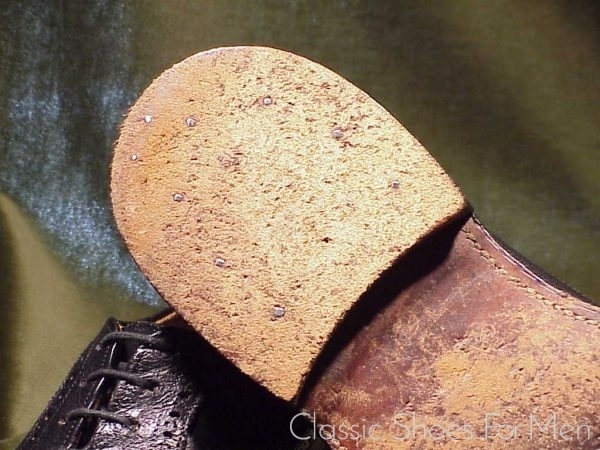 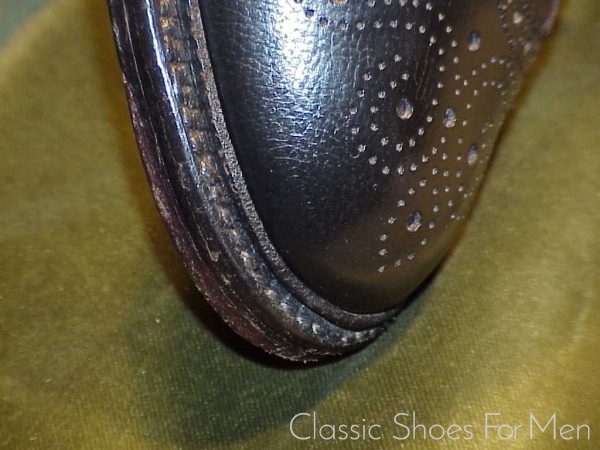 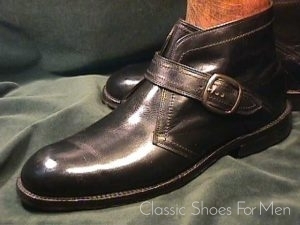 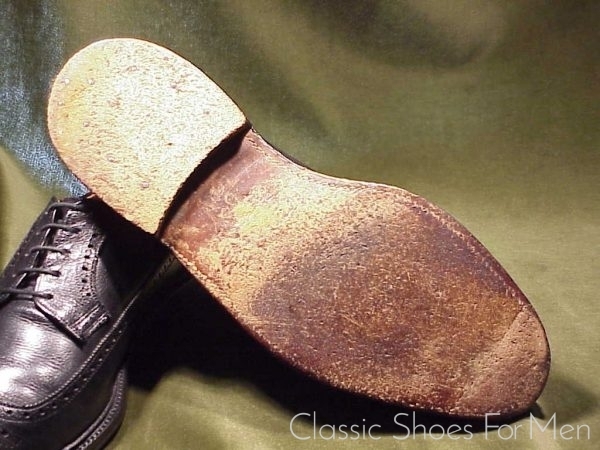 Thom McAn was one of the myriad American shoemakers that succumbed to the competition from abroad but in their heyday they produced a most substantial shoe, as seen here, a shoe favored by businessmen coast to coast. Goodyear welted (of course) and with a 360 degree Storm Welt, this shoe promises to serve comfortably for decades. 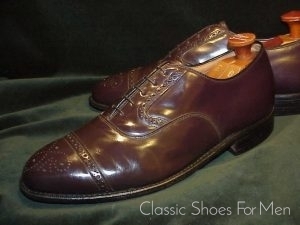 Size: US 11D……UK 10E…….Continental 44.5D, for the medium width foot. 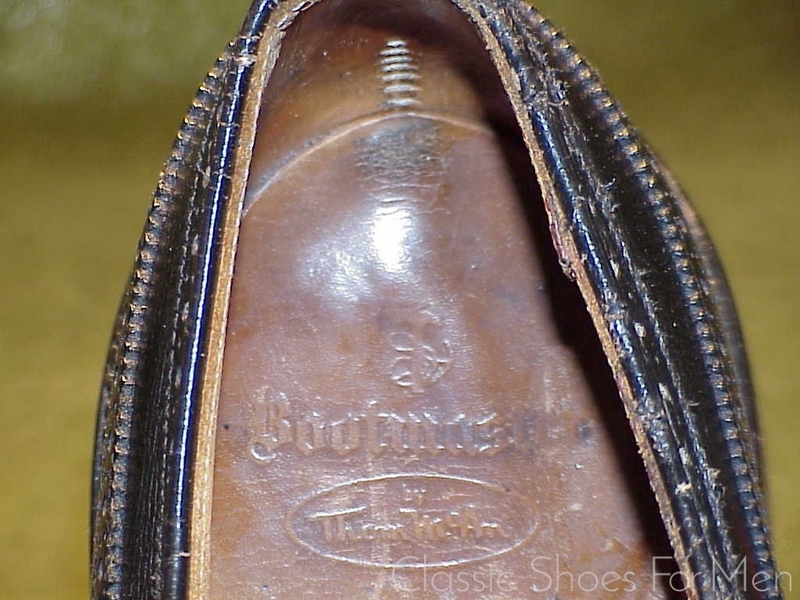 Condition: New heels and small repairs to soles, and lightly worn since.